“The best classroom and the richest cupboard are roofed only by the sky”. 9:30 Arrival and welcome at ‘Cubs Cottage’. Gather together to talk about adventures ahead. 9.45 FARM* Simple farm chores such as feeding the animals, collecting eggs, weeding or picking vegetables in greenhouse. 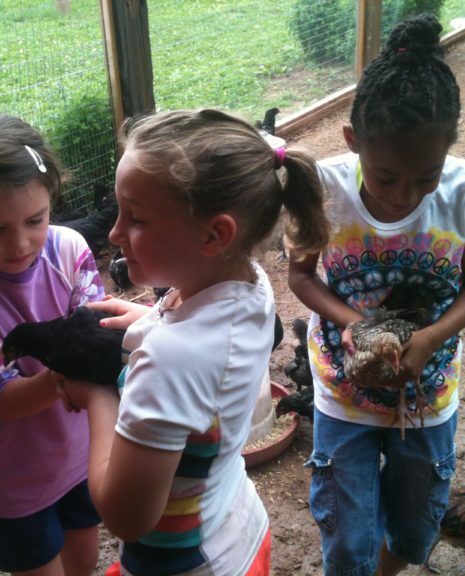 Visit bunnies, pigs, chickens, cows or horses. 10:30 ish FOREST* Short hike into the woods. Brief daily reminder about how we keep ourselves and each other safe. 10.45 Snack time & story or shares as a group. 11 ish Nature activity, exploration and open ended free play in the woods and stream! 12:15 Walk back up through woods to gather belongings and meet parents at noon. *Farm and Forest sessions are often reversed depending on interest of children on a particular day. Although we talk about the ‘flow’ of each session, our staff have no fixed agenda for the children to follow. Each morning we offer an optional daily nature project, such as; building elf houses, tree decorating, stone or stick sculptures, senses trail, finding & identifying creatures in stream, bird feeders, bridge building. However, the children’s play and interests guide their education. Children have a huge capacity for absorbing information and making connections – and in our experience, we have found that the more they are interested in something, the more knowledge they can take in and retain. 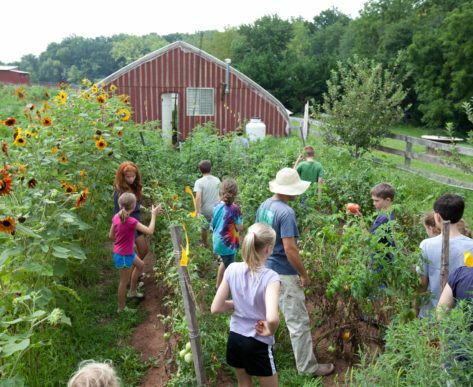 Calleva’s newest spring and fall program for our youngest nature explorers combines ‘fun on the farm’ with the ‘Forest School’ philosophy. Originating in Scandinavia in the 1950s, The Forest School movement has become popular across Europe and the US over the past few years. 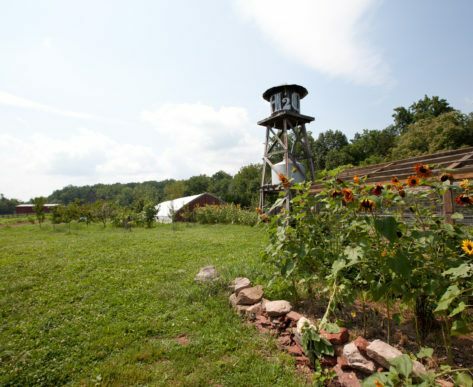 It shares many of the founding beliefs of Calleva. The core focus is one of embracing the outside environment to allow children to learn and grow as individuals. In doing so, they develop self-confidence, a sense of purpose and the opportunity to meet new challenges. 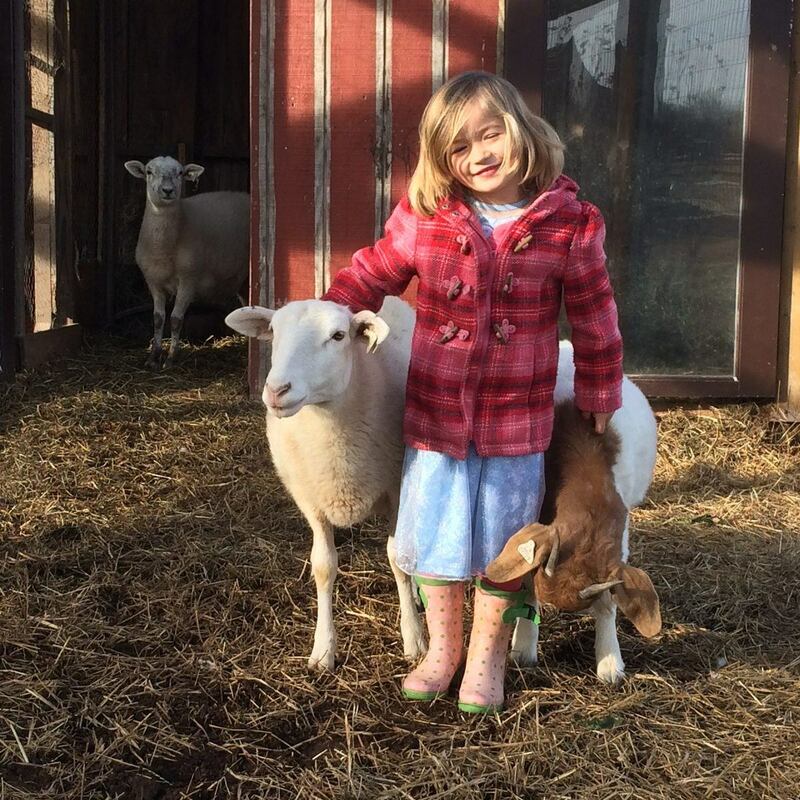 Our Farm and Forest program is a 10-week, drop off program for 3-8 yr. olds, designed to let children experience nature through play and foster their excitement in the natural world. When children are allowed to “just” play in nature, deep learning takes place in the areas of ecology, biology, botany, math, physics, literacy, language and engineering. In addition, our Farm & Forest Cubs ethos emphasizes social and emotional development, as well as cooperation, teamwork, kindness, compassion and empathy. SPRING 2019 sessions start week of ​MARCH 18th​. Monday, Tuesday & Wednesday​​ mornings​.​ ​Choose one, two or three sessions. Children must be toilet trained and bring their own snack. Children will spend all of their time outdoors, with the exception of extreme weather, so appropriate clothing is essential.